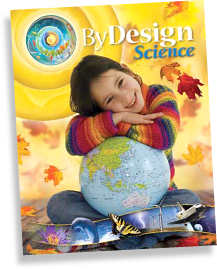 Students learn science best by doing science through inquiry. The By Design program focuses on providing this experience to students. 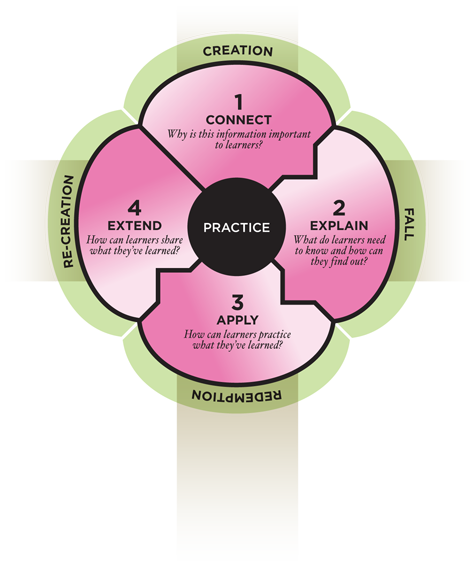 The instructional cycle shown here recognizes these elements of teaching and learning. It is based on consensus among various instructional models created by noted researchers, curriculum developers, and learning theorists, such as Gardner, Tomlinson, McCarthy, Johnson & Johnson, Hunter, Marzano, Wiggins, and McTighe. Models offered by these and other individuals include: Multiple Intelligences, Differentiated Instruction, Cooperative Learning, 4MAT, Inquiry Learning, Project-based Learning, and Understanding ByDesign.